The Vancouver Police Department has just released new information regarding the double murder that took place in Vancouver one year ago. 23-year-old Kevin Whiteside and 15-year-old Alfred Wong were both shot and killed at East Broadway and Ontario Street on January 13, 2018. 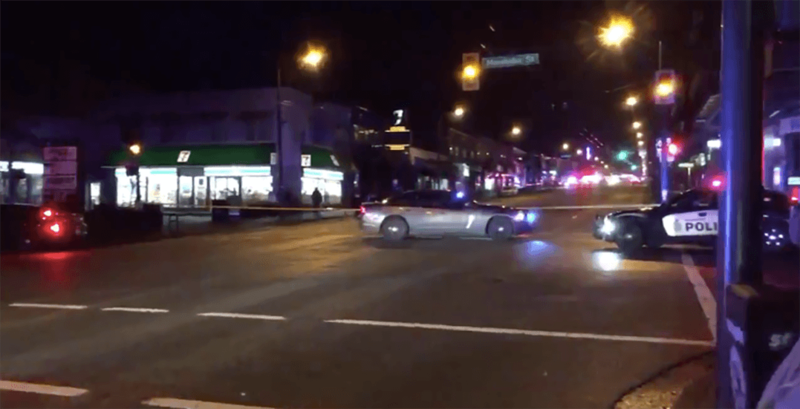 VPD further elaborated that the shooting took place near the Indochine Kitchen. At this point, investigators believe that Whiteside was in the area to kill 28-year-old Vancouver resident, Matthew Navas-Rivas. Navas-Rivas was dining at the Indochine restaurant with a female companion. When he and his partner left the restaurant, a second person opened fire. The gunfire killed Whiteside and Wong. Wong was a bystander and was in a vehicle with his family, driving through the area. A third individual was also caught in the gunfire. He has since recovered from his injuries and VPD do not believe he was related to the incident in any way. Navas-Rivas escaped the shooting unharmed but was murdered several months later, in an unrelated incident. VPD have managed to seize a red Pontiac Montana that was involved in the shooting. They have also located video footage of a dark pick-up truck turning into the crime scene at the time of the incident. Officers are asking for the occupants of the dark pick-up truck to contact them. Heard also shares that officers have been in close contact with Alfred’s family over the past year and have been providing them with information and support. Anyone who may have information about this incident, and who has not yet spoken with police, is asked to contact detectives at 604-717-0515 or Crime Stoppers at 1-800-222-8477.